Our Summer Specials are almost too good to be true!!! Make this the Summer that is all about YOU…time to look and feel your most confident with these tremendous savings. Silicone Breast Augmentation now only $6200.00! Juvederm Ultra XC on sale all Summer long…Buy More, Save More! Our Holiday Specials are finally here!!! Time to make your Holiday Season JOYFUL & MAGICAL with a BEAUTIFUL YOU! we are happy to announce our Fabulous Fall Special for the entire month of October! This month we will be offering both a Juvederm and Botox special…just for YOU!!! Save $500.00* with our September Special…take advantage of this AMAZING discount and book now! Book any cosmetic surgery priced at $4000.00 or higher and take $500.00 off the surgical fee. Call for your consultation with Dr. Godwin 267-399-9930. JUVÉDERM® ULTRA on sale for the month of July for only $550.00 per syringe! 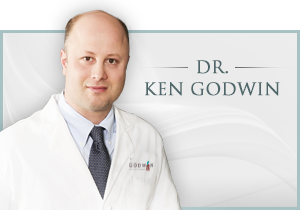 Some of Dr. Godwin’s patients simply have naturally thin lips and want to achieve a fuller appearance. 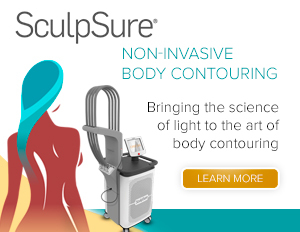 Dr. Godwin offers SculpSure Special Pricing in Bucks County!!! June Special—-SculpSure “treat-to-complete” Package ONLY $2700.00!!! WOW!!! Incredible April Specials Just In Time for SUMMER!!! Our April Specials are featuring TWO of our most requested and popular cosmetic procedures here at Godwin Plastic Surgery…TUMMY TUCK & SILICONE BREAST IMPLANTS!!! Let’s FACE it the March Specials are AMAZING!!! Aging of the lower face can include wrinkles, fine lines, sagging skin and jowling cheeks. A mini facelift can change ALL of that! The results of a mini facelift gives the lower face a younger, refreshed & rejuvenated appearance. Please join us on Tuesday, December 13th from 6-8pm, for wine & hors d’oeuvres and learn how to permanently DESTROY fat in 25 minutes with SculpSure. Special Even Only Pricing will be offered to attendees. Space is limited, Register NOW to Reserve your spot! Dr. Godwin wants you to look and feel your very best…so to show his gratitude to his patients, he is offering you this tremendous savings. Get the Look You’ve Always Wanted…at the Price You’ve Been Waiting For!